We’re 🎵all about those beans, ’bout those beans!🎵 But where do they go on MyPlate? 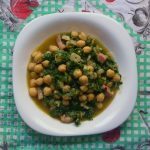 Since beans fall into a unique category, it might be confusing when it comes to preparing a balanced meal. Generally, regular meat eaters will count beans and peas toward their vegetable intake (shown on a MyPlate). Vegetarians should count beans and peas toward their protein intake (shown on a MyPlate). 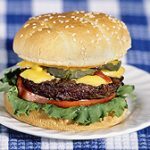 If you are a meat eater but haven’t eaten enough protein from the meat category during the day, you can count them toward your protein intake! As you can see, beans are a great way to fill in nutrition gaps in your diet. 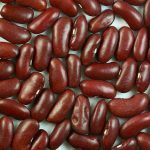 Why are beans considered healthy? Protein is needed to keep the body functioning properly and is especially important for keeping the muscles strong. Iron is a necessary nutrient with many functions in the body that is especially important for women of childbearing age and children. Folate is another nutrient especially important for women of childbearing age. Getting enough is vital for everyone, but in pregnant women it helps prevent certain birth defects. 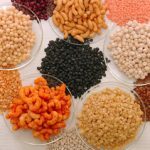 Fiber is often low in the American diet, and getting enough can help you maintain a healthy weight and a healthy gut. Potassium has many functions and it contributes to lowering blood pressure. This nutrient is often too low in the American diet. There are lots of ways to buy beans and peas at the grocery store. 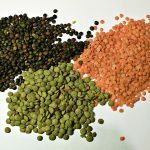 Dried beans and peas are normally found in bags near the canned beans and peas in the grocery store. Most of the time the dried version is the cheapest and has no added sodium. The biggest downside to dry beans and peas is that unless you have a pressure cooker, you have to soak them for hours ahead of time (usually overnight) and then cook them for about 2 hours. Soaking time may also be reduced by boiling the beans in water for 2 mins, removing them from heat, and letting them sit for 30 mins before boiling again for 2 hours, but it still takes some time to prep dried beans. 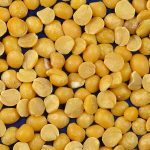 Not all dried beans have to be soaked, however, as lentils may be put straight on to boil and take less than 30 mins to cook fully. Canned beans are the quickest way to get beans on the table. Though you can heat canned beans too, they are pre-cooked so all you really have to do is open the can, rinse the beans in water until the bubbles are gone, and serve. Canned beans tend to be slightly more expensive and often contain extra sodium which might not be so great for people on special diets. 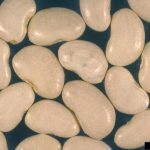 Look for low sodium beans when you buy in a can, and rinse the beans under water longer to help wash off more sodium. Frozen beans and peas can be found in the frozen vegetable section of the grocery store. 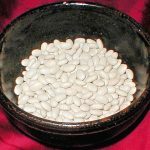 Frozen beans are almost as convenient as canned but require thawing first. 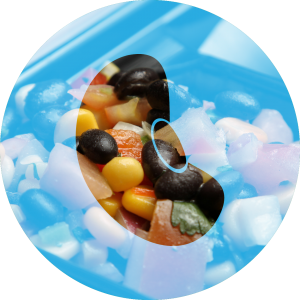 Frozen beans will have varying amounts of sodium and other ingredients, so the best way to choose a frozen bean is to read the food label. Dried, frozen, and canned beans all have long shelf lives. Dried beans last about 1 year in the unopened bag from the store. Once the bag is open, they can be placed in an airtight container in a dry, dark pantry and remain fresh indefinitely. Canned beans last about 1 year unopened in the pantry. 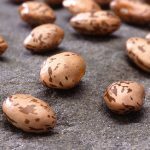 Frozen beans can last about 8 months in the freezer if they remain frozen. 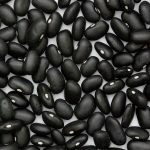 Once any form of beans is cooked, they last about 5 days in the refrigerator. Beans are an extremely versatile food. They are great as an entrée, side, and can even be blended into dips. Here are some ideas for incorporating beans into your meals. 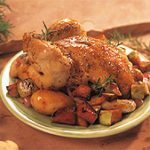 Need some recipe ideas? Try our 15 Minute Chili for a familiar favorite or show off your culinary skill with our greens with beans that’s a perfect snack or side at family gatherings. Our recipe for Southern Salsa tastes so good you’ll swear it’s from a restaurant and offers fast and easy fresh flavors for less than $5.